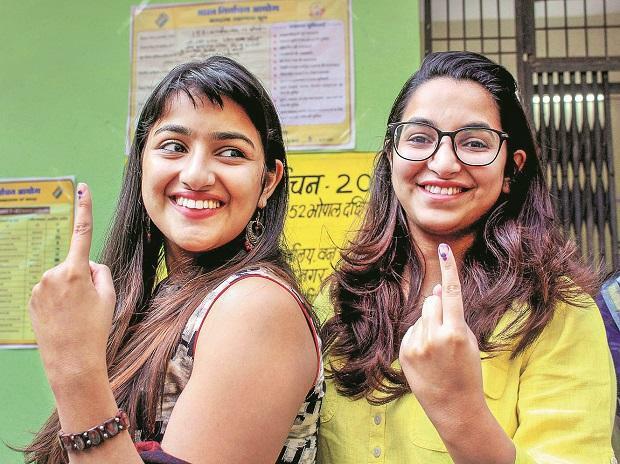 Female voters hold the potential to be game-changers by playing a significant role in ensuring more gender-inclusive laws and policies, making the year 2019 India's "year of women", Chair of the Hinduja Bank, Switzerland, Hinduja SP Shanu said as the country readies for its upcoming crucial national elections. Shanu said that as India heads to the polls this spring, it is important to note that more women are heading to the ballot than ever before, with voter turnout among women having been higher in several state elections in the country. "More female voters are additionally likely to lead to more gender-inclusive laws and policies. Gender awareness not only transforms how candidates campaign, but also opens doors for more female candidates in the running, and greater opportunities for female leverage within national decision-making bodies," Shanu, the Chair of the Hinduja Foundation US, said in an opinion piece given to PTI. Shanu pointed out that the upsurge in women voters exercising their democratic and constitutional right shows that the determination of women across India to have a voice and exercise their rights is on the rise. She said women are fighting back across the political landscape around the world. She added that for the US, the year 2019 marks 'the year of women', with a record number of women 127 having entered Congress. Starting with Women's Marches in over 650 communities across the US, female activists worked together, forming a pragmatic network that saw four million people taking to the streets. She stressed that one can see collective action in India as well, citing the country's first all-women's political party, the National Women's Party (NWP), launched recently. The party has said it will contest 283 Lok Sabha seats - half of total seats - in the upcoming polls. "The NWP now has a platform to break down the deeply entrenched traditional cultural values and beliefs that dictate women's role in society and act as a barrier to achieving and sustaining gender equality. As the world celebrates International Women's Day, perhaps 2019 will be India's year of women too," Shanu, who is also Co-Chair and Director of Hinduja Global Solutions Inc, said. In the opinion piece, that also appears in Brussels publication 'New Europe', Shanu emphasised that endorsing women's empowerment is crucial to India's prosperity and success as an economic powerhouse particularly if it is to hit its development targets. Fair representation is fundamental to achieving the United Nations' Sustainable Development Goal number 5 for Gender Equality. "We need to recognize that investing in women is not only morally critical but also a considerable business opportunity. Women contribute approximately one-sixth of India's overall economic output, one of the lowest shares in the world, she said. As women and girls across the country become more literate, educated and empowered, they are also becoming more politically aware. "India's recent collective action was indicative of a revolutionary tide surging across the country," she said. Further, the #MeToo movement and the US Mid-Term election results prove that there is power in insurrection and coming together to demand change. The women's resistance movement has organized, mobilized, and empowered on a vast scale and at an unprecedented rate, she said. Across the world, Shanu said women are empowering other women and this grassroots resistance against a regressive and sexist political system broke into the highest level of politics, allowing women to revitalize the political landscape. She, however, added that the challenges that women face across the country stand as a testament to the lack of political support and will coming from its judicial system. She noted that existing political structuring and male-dominated parties have blocked the passage of the Women's Reservation Bill, which would compel the Indian Constitution to reserve 33% of all seats in the Lower House of Parliament, the Lok Sabha and all state legislative assemblies for women. Shanu also said the #MeToo movement, which "rocked establishments" around the world, shook India and its gendered barriers. Dozens of women across the country have taken to social media to expose their experiences of sexual assault and those culpable, she said. #MeToo is a movement against sexual harassment and sexual assault.